Greetings again from Sims Hill! We thought it might be valuable for all of you to get a fuller picture of our June 29 launch meeting than the highlights that have been presented so far. We now have all of the notes from the various presentations from the night compiled in one place. Specifically, there are now updates from Chris Howell on buildings and community spaces, Tim Lawrence on Sims Hill principles and veg growing plan, Chris Sunderland on our legal structure, a fuller exposition of the business plan from Bobbie Sunderland and more on the communication strategy from Kristin Sponsler. For those of you who attended our recent launch meeting, thank you! 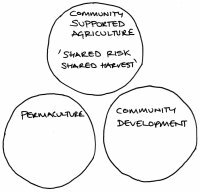 From the feedback sheets that we received there is a lot of enthusiasm and support for our project, which is extremely heartening and encouraging to the small steering group that has been working on making Sims Hill Shared Harvest (SHSH) CSA a reality since last August. We want to thank Coexist for lending us the space for the meeting and to Simone Osborn for critical help and support on the night. Approximately 33 people filled out our feedback forms and a majority of those people want to become veg box members or are considering it, and many are also offering to help support us in other ways such as offering to help work on the site, communications, financial support, etc. We also received emails from several people who could not make it on the night but want to be added to our email list and to be kept informed of future developments. Our email list has increased to approximately 130 people. We continue to gather support from word of mouth and from a presence at community events. The SHSH group presentation, which covered site design (James Adamson), buildings and community spaces (Chris Howell), project principles and veg growing plan (Tim Lawrence), business plan (Bobbie Sunderland), legal structure (Chris Sunderland), and communications (Kristin Sponsler), was well received and many commented on how the clear and well-thought out the project and business plan seemed to be. 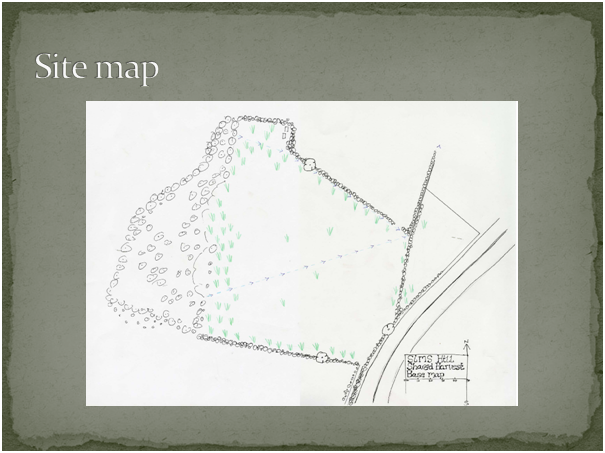 Site Mapping: Included surveying the land to determine boundaries and areas of interest such as large trees, access ways, rights of way, buildings. 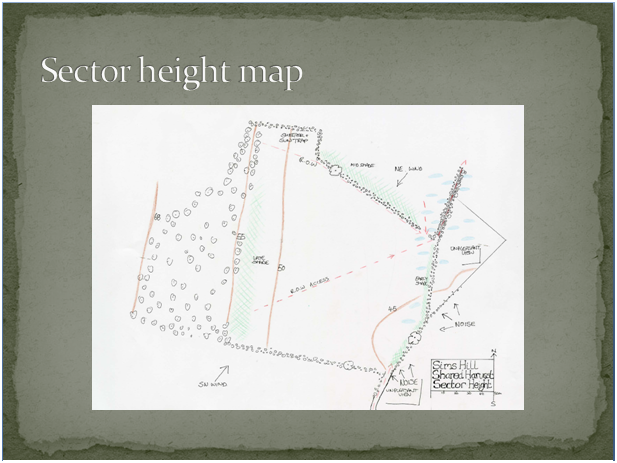 Site evaluation: Including an ecological survey, elevation and general topography, soil testing, drainage. Key Planning Tools: Zoning (which areas could require high use/ materials), Sector (how does the site relate to the wider environment e.g. sunlight, prevailing winds, noise), Network (how will people move around the site) analysis. Vehicle access is from the south with additional pedestrian access along the rights of way from the west and north. Growing space split into rotation blocks allowing for crop planning, pest, disease, weed and fertility management. They also add a ‘human scale’ to field scale veg production. Rotation blocks segregated by north/ south running perennial cover such as hedges, soft fruit, pollinator strips, beetle banks. These directly benefit the growing of veg by providing habitat for beneficial insects/ pollinators, provide shelter from the wind and an additional crop such as herbs, cut flowers, fruit, craft materials. The right of ways are protected whilst split off from the rest of the site by large hedgerows. These act as security, a primary form of shelter from destructive winds, increase biodiversity, and yield additional crops as already mentioned. Areas outside of the rotation blocks are allocated for non-veg production such as comfrey production, bees, charcoal, plant propagation, craft materials etc. These will provide additional income for the project and an opportunity for members, students, volunteers to participate in a diverse range of rural enterprises. 3 large pro polytunnels are enclosed for security, fencing under planted with perennial/ evergreen vegetation to prevent movement of frost from the upper aspects of the site. 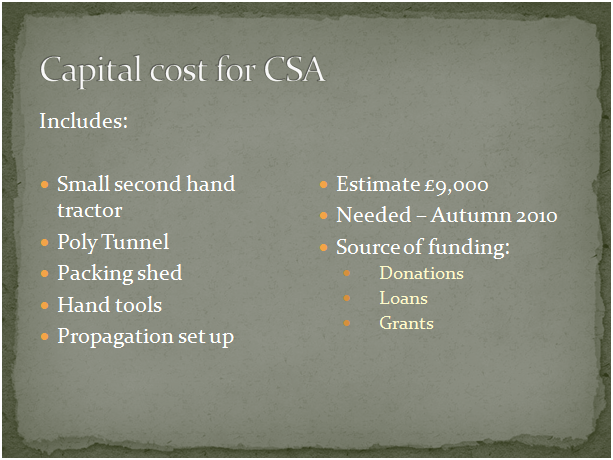 The intensive production of protected cropping requires tunnels to be situated near access ways out of site and with easy access to packing sheds. Within the fenced area is a small orchard to protect from deer. Woodland is to be thinned and timber used onsite as a construction material. It is a useful spot to house a woodland education centre and natural place to keep poultry (undecided). A community space is located in the most northern corner, this is a sheltered part of the site where some railway carriages are already found. It seems a natural place for gatherings, celebrations, and educational opportunities. On the adjacent site we will house a main building, used mostly by the Avon Wildlife Trust. This will also contain a packing house and machine store for shared equipment and an opportunity to capture and store rainwater which will integrate into a broader irrigation system based most likely on a borehole drilled close by. The triangular paddock to the east of the site floods seasonally and is exposed to the M32. This will be laid as short rotation willow coppice, providing shelter to the rest of the site, yielding a valuable and multifunctional crop and possibly addressing some of the issues of localised water logging. The current design is a first draft and is likely to change following a more detailed consultation with AWT and various horticultural and irrigation consultants. However the schematics are sound and unlikely to change. Developing an implementation schedule taking into account the need to develop the infrastructure of the site and deliver weekly veg shares to members. Prepare the site for development/ growing. This will involve bringing in a contractor to take care of the feral grasses and to prevent the next stage perennial weeds from going to seed. Start spending time on the site. We will soon have our temporary lease and can be there as often as we like! A perfect opportunity to get to know each other, have BBQ’s/ picnics and maybe dig up a few docks and brambles as we chat! Please find here a link to the ecological survey on the site conducted by the Wessex Ecological Consultancy. Sims Hill is part of a broader picture or story regarding how we all live and, in particular, how our food is produced. Many people are increasingly viewing our agricultural system and food supply chains as unsustainable, inequitable and undesirable. 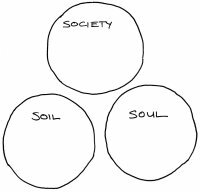 Sims Hill is part of a growing range of alternative approaches to living and producing food that seeks to care for, nurture, and develop our soil, soul and society. 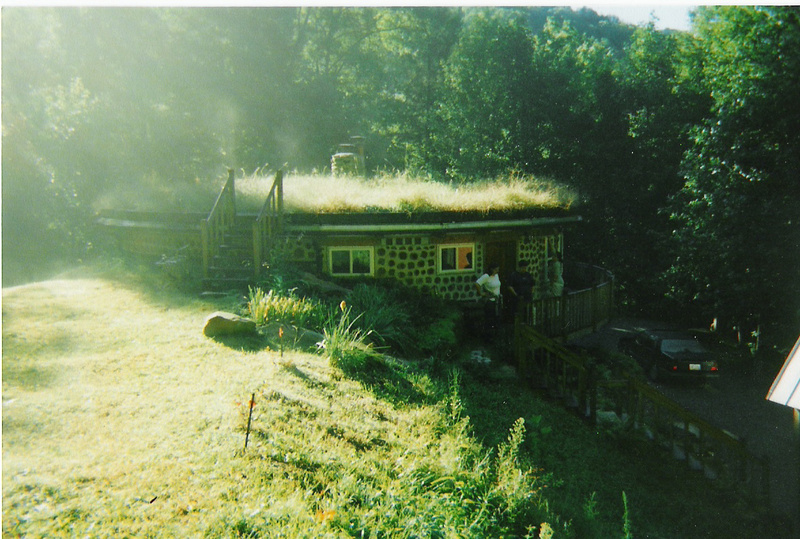 More specifically, Sims Hill is one of a growing number of agricultural (in its broadest sense) initiatives that are seeking to express these three elements (soil, soul and society) through trying to integrate and balance the ideas of fair (ethical and inclusive), natural, and local growing in some sort of community or co-operative set up. 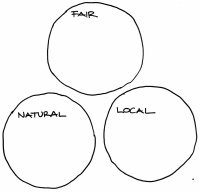 Sims Hill aims to produce local, natural and fair food by becoming a co-operatively owned CSA (Community Supported Agriculture) Project inspired by Permaculture and Community Development principles and practices. The Japanese name for the first CSA was “Teikei”, which translates as “Food with a Face”. 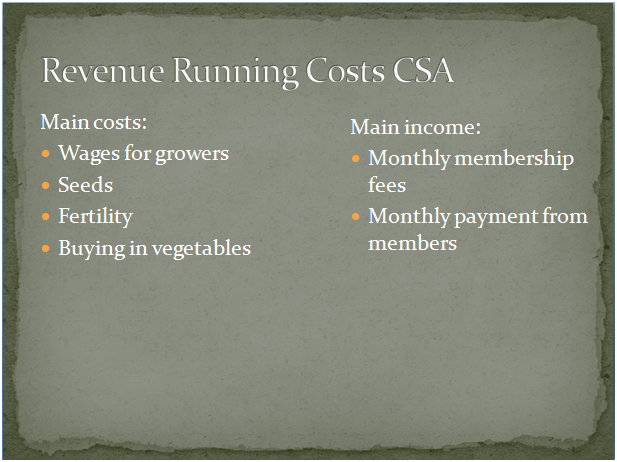 The members of a CSA come together and invest in the running of the farm, sharing the Risk with grower(s), and receive a share of the Harvest, as opposed to being customers who pay for specific products. The budget for the farm and what members contribute is negotiated between members and growers, seeking to establish a fair and transparent deal for all concerned. This may include subsidized membership for members on low incomes. 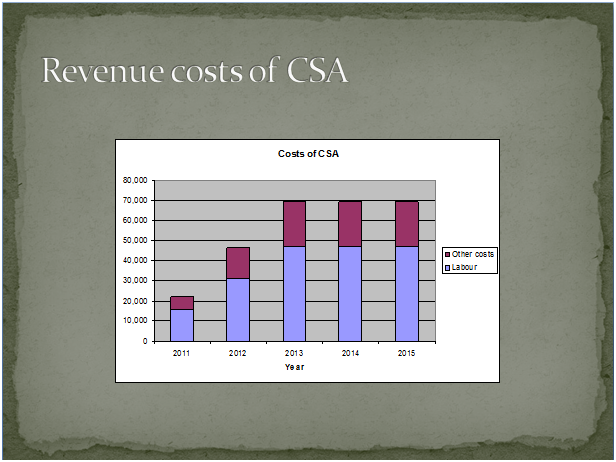 Being a member of a CSA involves a commitment to adapting to cook and eat what the farm is best suited to produce. For many of us this may involve changing the range of vegetables and fruit we eat and getting used to local seasonal availability. The farm will seek to grow a diversity of vegetables that is best suited to local conditions, crop rotation, building soil health and the needs of the whole community. To minimise waste and maximise efficiency some vegetables that would be wastefully “graded” out of supermarkets (because of aesthetics or long supply chains) will be included in your share. 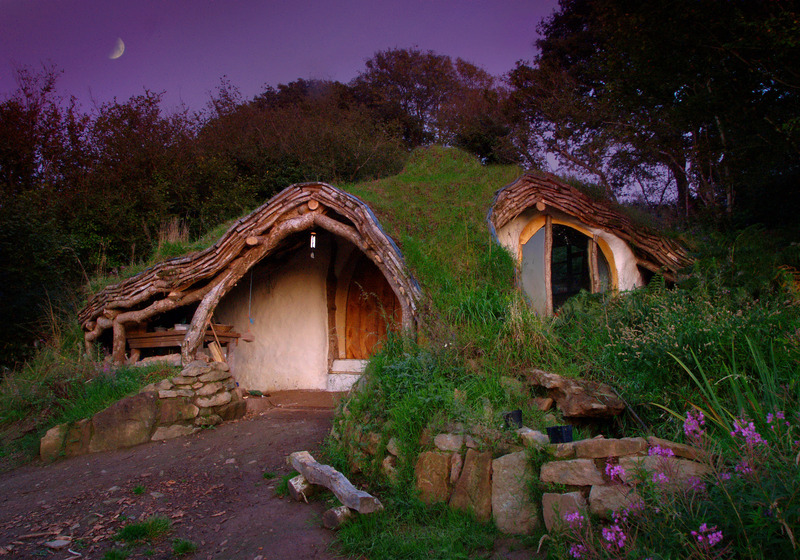 “Permaculture is a design system for creating sustainable human environments” (Bill Mollison). 3. Setting Limits to Consumption …gives away surplus– contribution of surplus time, labor, money, information, and energy to achieve the aims of earth and people care. The core business of Sims Hill is going to be growing vegetables for its Harvest Share members. 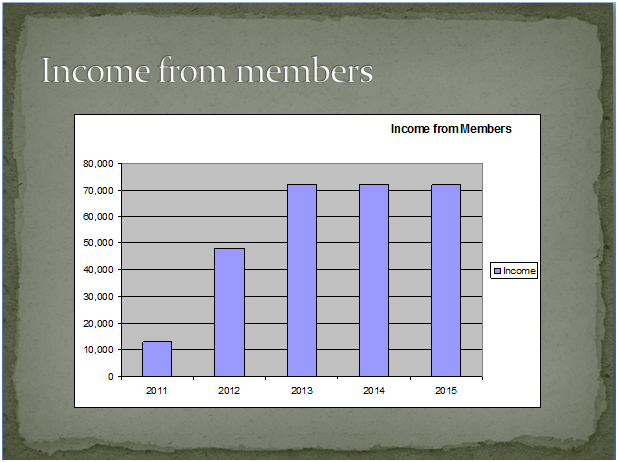 Harvest Share Members are those that share the running costs of growing the vegetables and then share in the harvest. 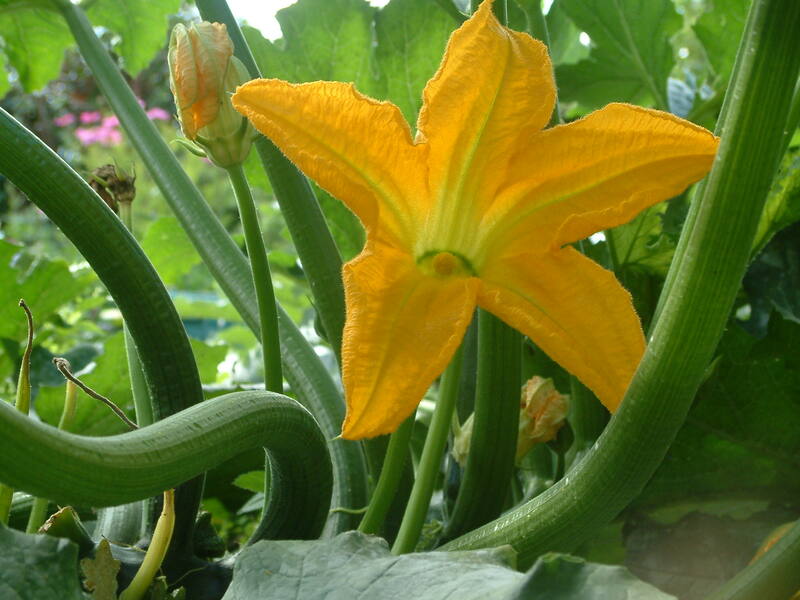 When the site is up and running they will get a share of vegetables every week of the year, with some stables (e.g. Potatoes, carrots and onions) bought in to supplement what we grow. In order to have vegetables year round a wide diversity of vegetables will be grown in rotation using organic methods on three different scales. Field scale vegetables (albeit small fields) such as onions and leeks, potatoes, carrots, beetroot, sweetcorn, squash, plus cabbage, swede, broccoli, kale etc. Polytunnel vegetables including winter salads, early crops and cucumbers and tomatoes in the summer. The garden and polytunnel vegetables will be cultivated, sown, weeded and harvested predominantly by hand with the help of a rotovator, lawnmower and wheel hoes. The quality of soil life and fertility will be built up using green manures (e.g. Clover and trefoil) and compost (preferably our own if not, well sourced). If there is the option of importing organic manure this would then be used primarily in the polytunnels (as they are more intensely worked). 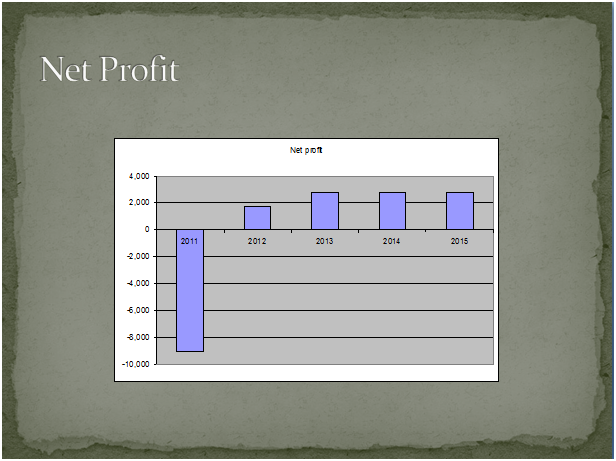 The plan is to grow for 50 households (shares) in the first year, then increase to 100 households in year two, then again up to a maximum of about 120-150 households in year three or four. In regard to the buildings that we will need on the site to accommodate a small working farm and the associated community projects, we envisage that these buildings will include stores for food and equipment, an office, toilets, a community meeting space, a kitchen and a classroom. Our vision for the site of Sims Hill Shared Harvest is that it alongside producing food it will be a place where people will come to learn new skills both inside a classroom which we hope will be tucked away up in the woods and also out in the field using materials found on the site. There will be spaces for adults and children to play places for making celebrations and festivals. Cooking and eating spaces both inside and out so that meals can be made to share, food can be preserved on site and new skills can be learnt. 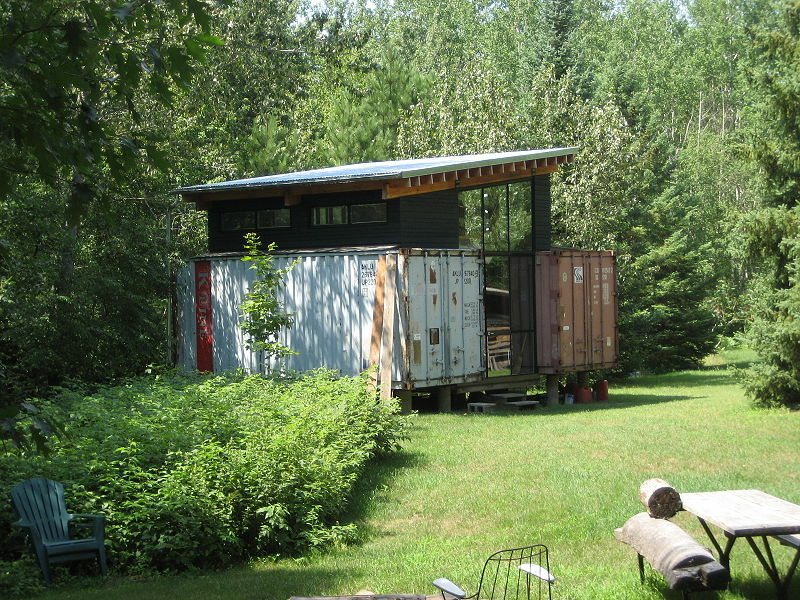 The buildings that we will make will have as minimal impact on the local landscape as possible, perhaps by recycling the old train carriages already on the site or by using some old shipping containers which can then be made more attractive by cladding them with timber or by banking up earth against them. 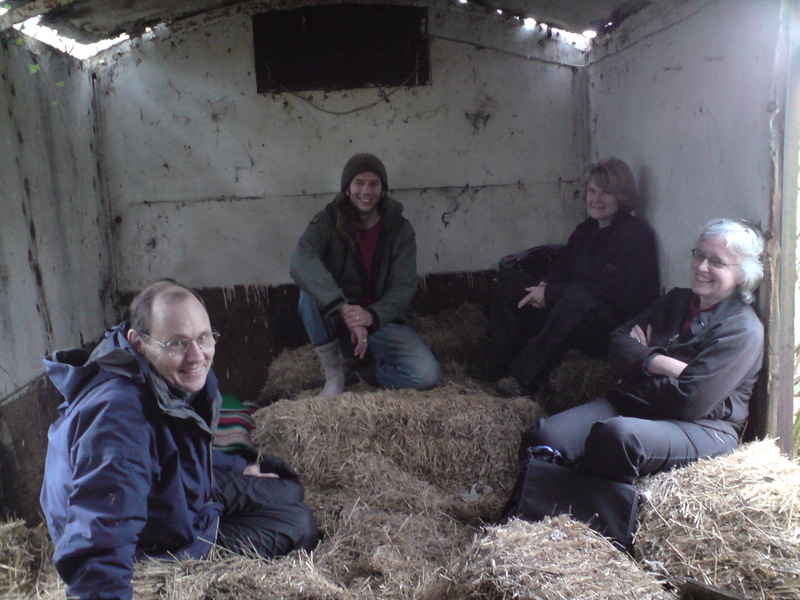 We may also be able to use some of the wood from the site or may choose to buy in some straw bales to build with. 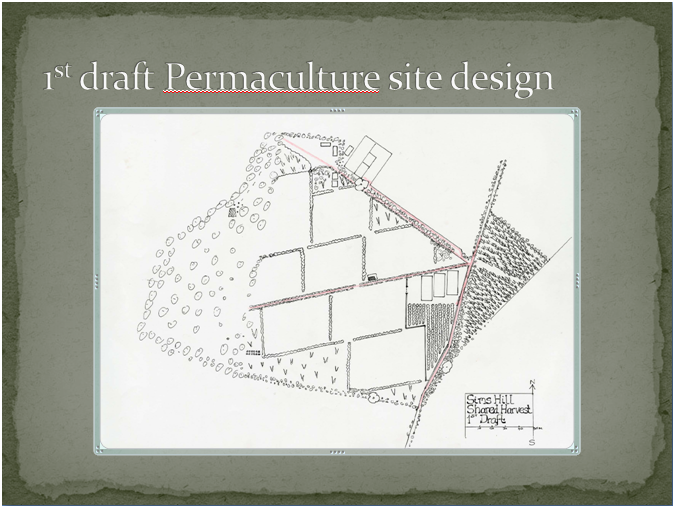 There are of course some limiting factors that we must work within including planning permission and financial constraints but we are confident that these can be navigated and that over time the site can become an amazing space for the Sims Hill Shared Harvest community and others to engage with and enjoy. How do we get from a bare field to a garden full of veg? 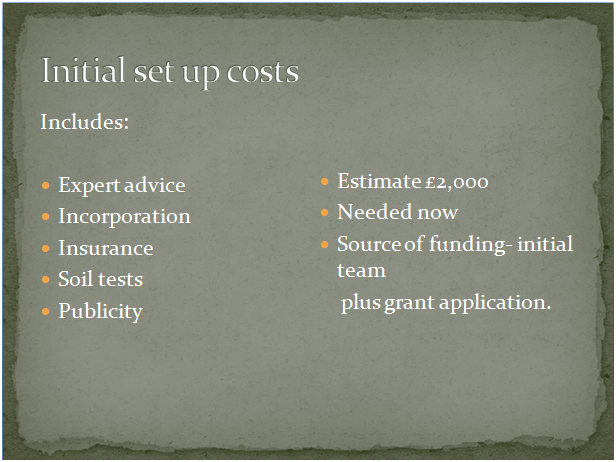 The setup costs for the project are high but they are achievable! Our hopes for Sims Hill Shared Harvest are that this will be much more than growing veg, much more than a veg box scheme, that our members, perhaps many of us here, will feel that this is our farm and that this project is not being done for us but that we are genuinely making it happen and that we have a strong relationship with the food that is grown. We anticipate that, in practice, members will have different amounts of time and different skills to offer, and that is fine, people will get involved practically as much or as little as they want, but we expect to have work days, where people can come and help on the land, gather for celebrations at harvest and any other excuse we can find, and there will be courses, not just in veg growing or permaculture, but in several other projects like coppicing, bee keeping, managing the orchard and other things we may get into, or of course we can go there just to relax and enjoy the site. It is ours. 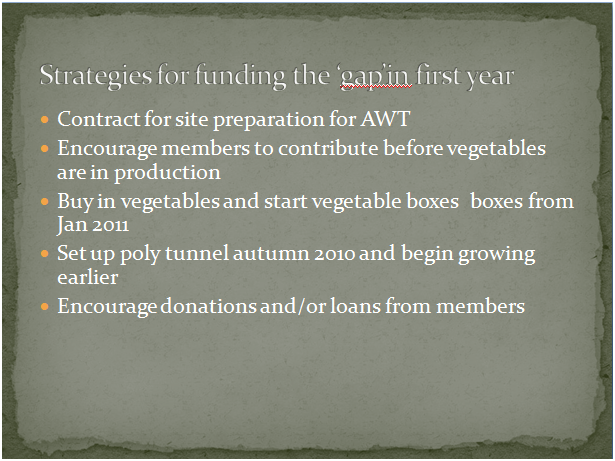 We see three types of members, harvest share members, who are taking a veg box on a committed basis, our supporters who want to make a financial contribution to the project to support it, but may not want to take a veg box, and our paid workers. Harvest share members, supporters and growers, joined together in a member owned cooperative structure, that is the vision, with one member one vote and a strong sense of we are making this happen. We have taken advice about what sort of legal structure to form, consulting with Jim Brown, a national expert in this area, and Cooperatives UK who are helping us form into a legal entity. The background to our 6 acre field, which James has described to us, is that it is being leased by Bristol City Council together with a neighbouring field which Avon Wildlife Trust are developing as their Feed Bristol project. 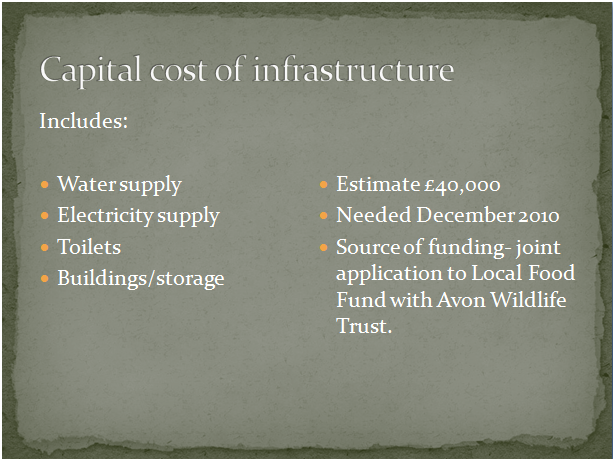 It makes sense to share some of the infrastructure we need with Avon Wildlife Trust and they are putting in a grant application to Local Food fund for this. In the light of this the legal structure that is most appropriate at this point appears to be a cooperative company limited by guarantee that does not distribute profits to members. The idea is that this allows us to be part of a bid to the Local Food fund but also gives us maximum flexibility for the future. In practice this means that we would have regular members meetings, perhaps five per year, the members would elect a Board of Directors to oversee the business and report to them and the growers would manage the site on a day to day basis. 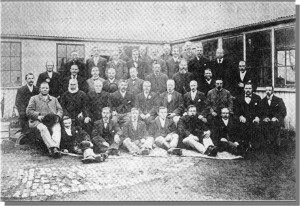 We want to see this photo taken again in 5 or 10 years time, showing a reestablished Bristol and District Market Gardeners association, with more people, young, old, male, female, and representing all the communities and ethnic groups that make up Bristol’s vibrant and diverse urban culture. So far we have come up with a basic wordpress blog page (show) to introduce the project post updates, and an email list of interested people. We have sent update emails out via this list and other networks that we are a part of including Transition Bristol, Eastside Roots, Bristol Permaculture group, etc, and have produced a very basic informational flyer for events such as the Bristol City Council Food Conference. A few of us have been interviewed by Ecojam, the Evening Post, Sawdays’ upcoming Bristol Green Guide, etc. We also have engaged the voluntary services of a freelance graphic designer that we are very excited about to help us come up with our logo and communications “branding”. This is an area that we can definitely use your help with, so if any of you have time or suggestions on how to expand our reach, please let us know through the survey or email us at simshillsharedharvest@googlemail.com or let us know on your feedback form. The evening was capped off with a Q&A session where the issues around clarifying the nature of the project, noise, access, etc. were covered. For those of you who weren’t able to make the meeting, we plan on having more open meetings in the future, and we will start having work dates when we get access to the land. We will announce these dates on the blog as soon as they are confirmed. Please find here a link to our feedback form which lists the ways that prospective members/volunteers can participate in the project. Please feel free to download the form and email it back to us at simshillsharedharvest@googlemail.com if you have an interest in supporting the project. “The voyages and adventures of Ferdinand Mendez Pinto, a Portugal, during his travels for the space of one and 20 years in the kingdom of Ethiopia, China, Tartaria, etcetera“, Ferdinand Mendez Pinto (1583).